John 1:1 - Why Ignore The Nominative Case? God's Desired True "Tent", His "Domed-Roof House"! 2 Pet. 1:20-21 - Private Interpretation? Jesus Christ was An Icon! The "Cross" That Jesus Christ "Lifted" And "Carried"
Titus 2:13, Does It really Say That Jesus Is The God? Why Choose A Homosexual Lifestyle? Communion - Our Daily "Bread"
Jesus Christ And His Oxygen Bottle? Genesis 1-2, The Original Creation Or The Re-creation Of It? Invest In CDs And Lose? Please refresh your device to see the latest changes to this page. The Literal Idiomatic Translation (LIT) is based upon the United Bible Societies v4 (UBS4) Eclectic Greek Text of the new covenant texts of the Bible. The UBS4 collection of Greek texts is one of the most widely used in colleges, universities and seminaries. The LIT is basically a concordant translation, and is produced using a new unique kind of Formal Equivalence translation methodology which I have developed. This process, which follows the Greek texts much more closely, produces a very literal translation of what the apostles of Jesus Christ wrote. Subsequently the LIT quotes exactly what the apostles wrote without using paraphrases. Contrary to the belief of some, a translation based upon a Formal Equivalence methodology doesn't automatically render idioms, colloquialisms, and other figures of speech indistinguishable. But just the opposite occurs; idioms, colloquialisms and other figures of speech floating in a sea of literalism tend to stand out even more. I argue that the over abundant, and actually needless, use of paraphrases and creative "synonyms" destroys the various biblical authors' writing styles, and their deliberate use of idioms, colloquialisms and figures of speech. Paraphrases destroy what and how biblical authors wrote, and thereby destroy a reader's choice to personally decide what a biblical writer may have meant by what and how they wrote. Creative paraphrases and "synonyms" invented by translation committees actually create grammatical constructions and figures of speech which don't actually appear in the Greek texts. This is what is known as private interpretation. It is usually done for theological reasons, and sad to say, but it's true, is used heavily in most all Bible translations having been produced. This is the most important reason why I began to produce the LIT about twenty-six years ago. I absolutely don't want to read someone's theological theories and opinions "translated" into a Bible translation. 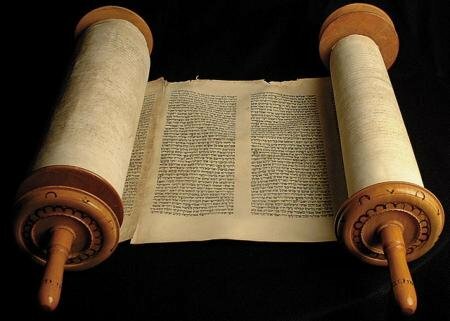 I want to see and read, first-hand, exactly what the apostles and prophets wrote, both what and how they wrote what they wrote. If I want to read someone's theories and opinions I'll use biblical commentaries. Are The Biblical Greek Texts Literary Artforms? I believe the biblical Greek texts, as well as the ancient Hebrew texts of God's Word, are literary artforms of the most important subject matter in the world, God's Word. If any biblical scholar has shown this to be true through presenting to us scriptural evidence within the texts themselves, E. W. Bullinger must certainly be recognized at the top somewhere. He should be recognized for two reasons: First, through his work published in his Companion Bible, he shows us broad structural outlines of the subject matters of each book of the new covenant books. And secondly, through his exhaustive work in compiling a list of figures of speech used throughout the biblical texts, we can see that the biblical writers were deliberately writing within a great organizational framework with great grammatical and stylistic sophistication. To what can we attribute this? The Judean leadership noticed that Jesus and his apostles achieved no formal education (Mat. 13:54-57; John 7:15-18; Acts 4:13). But we do know this, that God's gift of his paternal holy Spirit was working in and through them according to his good pleasure (Phil. 2:13; 2 Pet. 1:19-21). To whatever extent God's Spirit was working in and through the minds and mouths of his old covenant prophets, likewise under his new covenant how much more could God's Spirit be working in and through Jesus and his apostles to reveal what was only hinted at under God's old covenant? As with God's old covenant prophets, his Spirit working within Jesus Christ, and his apostles, must have had an effect upon what and how they also spoke and wrote, like his Spirit did upon his old covenant prophets! God can't be removed from what, when, and how he has given his Word to us (Heb. 1:1-3), without hijacking and changing it to be used for other purposes. But much of God's Word has been hijacked in many Bible translations, through the unnecessary abundance of egomaniacal paraphrasing and the use of creative "synonyming", to theologically twist and slant various passages throughout God's Word. If anyone may wish to become "awake" on the very real topic of truth in translation, please begin your introduction by reading Truth In Translation by Jason David BeDuhn for new testament translations, and by A. Francis Werner for old testament translations. Because of the influence of God's Spirit at work within his prophets, and within his son Christ Jesus and Jesus' apostles, both translators and readers must approach God's Word as if it is God himself speaking to us. How can anyone presume that God's Word needs to be changed, fixed, or repaired, unless that one presumes himself to be of greater self-omniscient than the God? That one truly is a rebellious one, and a reprobate one, as Satan was rebellious, reprobate, and full of lies and murder. It is incumbent upon sin nature-based mortalkind to approach the God, and his life-giving Word, as we truly are, as sinners seeking repentance, forgiveness, mercy, wholeness, and any other gracious things for which our love for, and humility toward the God are rewarded. At the opposite end of pride and self-omniscience, in humility and repentance, God allows our eyes to "see". Jesus Christ said that the statements he spoke, which were God's Word, were Spirit and life (John 6:60-64). We must approach God's Word as if we are approaching and coming into the very presence of God himself, which life of his own he is ready and willing to impart to us, if we desire to receive it out of his boundless mercy and grace. This is why the letters the biblical authors wrote should be highly esteemed, and considered, at the least, to be Spiritually-based literary artforms. They reveal the inner workings of the mind of the almighty God. My deliberate choice to absolutely not try to twist the biblical Greek texts into creative English language literary artforms invented and acceptable by sin nature-based mortalkind, through the use of paraphrasing and creative "synonyming" in the translation process, allows the inherent beauty, whether some can "see" it or not, of what the biblical authors wrote under the influence of God's Spirit working in and through them, to come through in the translation process into English. Anyone attempting to translate the God's Word should pay attention to the full gravity and weight of that responsibility, the weighty responsibility of handling the thoughts of the mind of the God to present them to others, unaltered by one's own sin nature-based self-omniscient ego. It is an imperative from Christ Jesus himself that we work hard to preserve his heavenly Father's Word, exactly what he said and how he said it (Rev. 22:18-19), which is exactly what the God's prophets and Christ Jesus' apostles wrote, so that it can come through wholly and intact into English, right before any reader's eyes . The following is a brief introduction to some of the most important grammatical and stylistic methods the biblical writers used in the biblical Greek texts, which are preserved and can be seen in the LIT English translation. For much more detailed explanations of these grammatical and stylistic tools please see my pages, About How I Produced The LIT. One of the most important aspects of the biblical authors' literary artforms is their use of ellipses. An Ellipsis is the deliberate omission of a word in a phrase, clause, or sentence, to keep a reader's attention drawn-in very close to the context, to thereby stay on track with the progression of an author's thoughts and meanings. In the biblical Greek language two thousand years ago people thought and spoke very much differently than we with our English language do today, two thousand years later on the opposite side of the planet. For a translator to try and "purify" the biblical Greek for the sake of accommodating sacred cow elements of English grammar, styles, and syntax, would by necessity destroy the beauty of the grammar, styles and generative syntax used by the biblical authors, not to mention destroying their explicit and implicit nuanced meanings as well, which are all up to the readers to determine for themselves! Another of the most important aspects of the biblical authors' literary artforms is their deliberate lack of use of to be verbs. The scholarly community calls these deliberate omissions zero copulas. Zero copulas are the authors' deliberate omissions of to be verbs for the sake of brevity. From the more than abundant evidence in the biblical Greek texts, to be verbs are often omitted by writers and are expected to be assumed by readers. Yes, this does place a little more burden upon us readers to remain conscious, and pay a little more attention to the texts during our drive-by readings. Another of the most important aspects of the biblical authors' literary artforms is their deliberate choice of inflected forms of words to be used, specific morphologies of words to be used to best express to the reader the meanings they wish to impart in their phrases, clauses and sentences. A Greek verb has eight points of inflection, type, mood, tense, voice, case, gender, person, and number, and a noun has only the last four, case, gender, person, and number. Paying attention in translation to these points of inflection of a Greek word removes ambiguity, obfuscation and implicitness of meaning in an English translation, and produces explicitness of meaning. Liberal paraphrasing, or Dynamic Equivalency, ignores the biblical authors' deliberate use of inflected forms. I consider preserving a Greek word's inflected form into English as being one of the most important parts of my Formal Equivalence kind of translation methodology used to produce the LIT. If a translator has determined a word's lexical meaning and its inflected form, and then has arranged the words of a phrase, clause, or sentence into their grammatical order based upon English sentence structure, then the places where a biblical author has omitted words and copulas become fairly visible. Elliptical words deliberately omitted typically follow definite articles pointing to apparently missing nouns, and transitive verbs pointing to apparently missing direct objects. Other kinds of ellipses are fashioned by biblical writers creating the need for the necessary restatements of preceding nouns for succeeding clauses, and by the use prepositions pointing to implicit conditions which may be understood in Greek, but which conditions should be made explicit to become visible in English. And there are other various methods which biblical writers use to create ellipses. The LIT is the first and only bible translation, which I know of, which recognizes and accommodates the various biblical writers' abundant use of both ellipses and zero copulas. This reality must affect a translation methodology, which methodology should justifiably account for it, other than to simply ignore biblical writers' patterns in their use of ellipses and zero copulas. Ignoring this reality only attempts to legitimatize an excuse to use theologically biased paraphrasing to overlay and sculpt the texts into saying something, and/or meaning something, more palatable to sin nature-based mortalkind's sensitivities and desires. A translation methodology which employs strict safeguards against the status quo liberal translation methodologies, such as "sense for sense", and dynamic equivalence methodologies, is a methodology which in and of itself is offensive to of sin nature-based mortalkind. In the history of Bible translations I've discovered, from close examination of various Bible translations, that there are some translation committees, being heavily influenced by certain biblical scholars, which cannot resist the temptation to take control of what the God has said. They replace God's Words with their own paraphrases and creative "synonyming" because they don't agree with, and they don't like, some of the things written by his prophets and Christ Jesus' apostles. The translation methodology used to produce the LIT doesn't allow the wording of the biblical writers to be slopped around and twisted into meaning almost anything theologically, through the injection of insinuation and ambiguity via theologically-based paraphrases. The LIT translation methodology is based upon formal equivalence, but much more strict in paying attention to the grammatical and stylistic elements mentioned above, and especially in paying very close attention to Greek word morphologies, all of which which are virtually ignored in paraphrases. Since the LIT actually quotes the biblical writers, the amalgamation of both Greek and English into LIT "English" is practically unavoidable. It should be unavoidable in any translation. LIT "English" is a combination of both biblical Greek and English grammar and syntax, but the LIT style is mostly driven by the grammatical structures laid down by the biblical writers in the Greek texts. The English words are there only to reflect meaning, but pay little attention to "sacred cow" grammar, styles, and syntax of "proper" English, as if there was ever such a thing. I believe the grammar, styles and syntax should be driven by the biblical Greek texts. What the biblical writers actually wrote in the original language texts is by far much closer to the mind of God than endless paraphrases in endless translations. In the LIT a reader can actually see and experience the ancient Greek language first-hand, its grammar, styles and syntax, see and hear the difference between how the various apostles spoke and wrote, their different speech and thought patterns, their pet words and phrases, and especially those of Jesus Christ. The LIT is fresh and unique, one of a kind, absolutely not homogenous, but heterogeneous, based upon the various communication styles between the apostles, and especially that of Jesus Christ. For example, apostle Paul has no aversion whatsoever to using lengthy and complex sentence structures; which semi colons in some parts of his letters are almost as populous as periods in letters of other apostles. In contrast, Jesus Christ most often spoke in short, much simpler, sentence structures, assuming that what Matthew, Mark, Luke, and John wrote are quotes of him. In 1 Cor. chapter 13, in virtually all Bible translations, the word love (agapē) is metaphorically assigned anthropomorphic characteristics, love is patient, love is not jealous, love does not boast, etc., which mortal-made grammar style is not supported here by the Greek text. The text does support apostle Paul's multiple use of an ellipsis of repetition (ER). 1 Cor. 13:1 (LIT/UBS4) If perhaps (ean) I may speak (lalō) the (tais) tongues (glōssais) of the (tōn) mortals (anthrōpōn), and (kai) of the (tōn) messengers (angelōn), but (de) I may not hold (mē echō) love (agapēn), I have become (gegona) [an] echoing (ēchōn) piece of copper (chalkos), or (ē) [a] wailing (alalazon) cymbal (kumbalon). 1 Cor. 13:2 (LIT/UBS4) And (kai) if perhaps (ean) I may hold (echō) prophecy (prophēteian), and (kai) I may have seen (eidō) all (panta) of the (ta) mysteries (mustēria) and (kai) all (pasan) of the (tēn) knowledge (gnōsin), and (kai) if perhaps (ean) I may hold (echō) all (pasan) of the (tēn) belief (pistin) and so (hōste) to stand together with (methistanai) mountains (orē), but (de) I may not hold (mē echō) love (agapēn), I am (eimi) absolutely not one thing (outhen)! 1 Cor. 13:3 (LIT/UBS4) And if perhaps (kan) I may give [a] morsel (psōmisō) of all (panta) of the (ta) things being subordinate (huparchonta) of me (mou), and (kai) if perhaps (ean) I may pass aside (paradō) the (to) body (sōma) of me (mou) in order that (hina) I may cause myself to boast (kauchēsōmai), but (de) I may not hold (mē echō) love (agapēn), I am caused to profit (ōpheloumai) absolutely not one thing (ouden)! I believe translators have failed to notice that in verses 1-3 apostle Paul was presenting himself as a person not holding love in his heart, and what those consequences would be, to set up a dichotomy of further comparisons in verses 4-13 of others who may hold love in their hearts, and what those benefits would be. 1 Cor. 13:4a (LIT/UBS4) The one (hē) [who, AE] [may hold, v1-3, ER] love (agapē) is patient (makrothumei), he causes himself to be benevolent (chrēsteuetai)." I believe this ellipsis should be applied in verses 4a, 4b, 4c, 8, and 13 as well. This is why it's an ellipsis of repetition. This is one feature that's so unique about the LIT, it presents apparent ellipses transparently, without paraphrasing, ultimately rendering a translation which simply quotes the biblical writers. What the biblical authors wrote in Greek, with God's holy Spirit working in and through them is, for the most part, so clear already, when the ellipses are identified and supplied, that it needs no paraphrasing. Virtually all Bible translations are more or less paraphrases of what is actually said in the Greek texts. This is because in the production of previous Bible translations the translation methodology most often used was some kind of a Dynamic Equivalence-based methodology, which pays no attention to the biblical authors' frequent use of ellipses and zero copulas, and at best little attention to inflected forms, to render them correctly in English. Using paraphrases takes the load of hard work out of doing translation work; but greatly sacrifices accuracy, and allows the injection of theological theories and opinions. God's Word demands respect, and what and how the biblical authors wrote must be respected as well. In the LIT all ellipses and zero copulas are placed within brackets like [this], so the reader can identify the biblical authors' use of those frequent and clever omissions. If a reader believes that a supplied ellipsis or copula is erroneous, then the reader can dismiss it. Unlike paraphrases which very abundantly add, change, and delete words in the Greek texts from appearing in an English translation, the LIT shows all additions for ellipses and copulas in brackets, so readers can see the transparency, and decide for themselves. For ellipses, I have labeled them as either an absolute ellipsis [AE], a relative ellipsis (RE], or an ellipsis of repetition [ER]. Luke 1:10 And (kai) there was being (ēn) everyone (pan), the (to) plethora (plēthos) of the (tou) people (laou), outside (exō) at the (tē) hour (hōra) of the (tou) incense (thumiamatos), causing itself to be well-thankful to4336 (proseuchomenon) [God, AE]. Luke 1:11 But (de) [a] messenger (angelos) of [the] Lord (kuriou) was caused to gaze (ōphthē) at him (autō), it having stood (hestōs) out (ek) right (dexiōn) of the (tou) altar (thusiastēriou) of the (tou) incense (thumiamatos). Luke 1:12 And (kai) he having seen (idōn) [[the] messenger, v11, RE], Zacharias (Zacharias) was troubled (etarachthē), and (kai) fear (phobos) fell (epepesen) upon (ep’) him (auton). Luke 1:13 But (de) the (ho) messenger (angelos) enunciated (eipen) to (pros) him (auton), “Do not be made fearful (mē phobou), Zacharias (Zacharia), through the reason that (dioti) the (hē) prayer of need (deēsis) of you (sou) was heard (eisēkousthē), and (kai) the (hē) female (gunē) of you (sou), Elisabeth (Elisabet), she shall generate (gennēsei) [a] son (huion) for you (soi)! And (kai) you shall call aloud (kaleseis) the (to) name (onama) of him (autou), John (Iōannēn). Luke 1:14 And (kai) joy (chara) shall cause itself to be (estai) to you (soi), and (kai) jumping for joy (agalliasis)! And (kai) many (polloi) shall cause themselves to rejoice (charēsontai) over (epi) the (tē) genesis (genesei) of him (autou). In verse 10 the verb causing itself to be well-thankful to4336 (proseuchomenon) seems to me to be a transitive verb, since it's prefixed with the preposition pros which is directing the action of the verb toward an apparently missing direct object, [God, AE]. In verse 11 you can see where I supplied an indefinite and a definite article, to help the sentence be comparably understandable to our English (proper or improper?). In order to supply them context is all-important. For those of you who have just joined me, I'm talking about a translation methodology to accommodate biblical authors' use of ellipses and zero copulas. This is exciting stuff! In verse 12, I considered he having seen (idōn) as another transitive verb expecting a direct object. Luke's, apparent omission of the verb's direct object I considered as an ellipsis, and so I supplied the missing direct object from the previous immediate context of verse 11. When an apparent omission can be supplied from an immediate or local context I consider that kind of omission as a relative ellipsis (RE). Please see Bullinger's "Figures of Speech Used In The Bible." Another feature more or less unique to the LIT is the identification of the use of definite [the] and indefinite [a, an] articles within brackets in the translation when none are in the text, but are usually required in English. In the biblical Greek it appears to me that an indefinite article was simply assumed, all-importantly based upon the context. The biblical Greek has no indefinite article, a, an, but in English indefinite articles supply an important function. So when I've determined their need to render the text's specific meaning into English I show them in brackets as well, [a, an] or [a/the]. The thorough use of brackets in the LIT English translation to identify ellipses, zero copulas, and definite and indefinite articles, clearly shows and demonstrates to the reader theological transparency. This level of theological transparency is abundantly lacking in virtually all other Bible translations. Paraphrases ignore and obliterate a biblical author's style, as if it has no consequence in helping to impart an author's idea, concept and intended meaning. They also tend to steer readers into the limited and/or desired scope of theological meaning of those omniscient translation committees who are calling for the paraphrasing. Virtually all English Bible translations are based upon a Dynamic Equivalence (DE) translation methodology, [with the exception of some known as literal translations], in which DE process the Greek texts are examined, and then the phrases, clauses and sentences are paraphrased into saying something like what the biblical author supposedly meant, according to other's opinions. From my experience of closely examining and translating about 18,500 unique Greek inflected forms into English, I believe some paraphrasing is done to deliberately hide some things which the apostles wrote. There are many biblical passages in the Greek texts which patently disagree with many aspects of some popular mortal-made theological theories, even popular "Christian" teachings. The LIT doesn't paraphrase these passages into ambiguity or oblivion. Other paraphrasing is claimed to be done in an attempt to make a Bible translation more like a fast food drive-through restaurant, to supposedly make it easier to read and understand. This is counter intuitive to biblical content, God's Word, which is absolutely not all milk, but mostly strong meat. Milk is quickly and easily swallowed. Those biblical passages are already self-evident, and don't need to be "fixed". Strong meat requires patient chewing, and a longer digestive process. God's Word intrinsically requires slow and patient reading, one word at a time, and frequent re-reading of previous passages, to make sure a reader is still on track in following and understanding an author's progressive thought process in his development of ideas, concepts, and meanings. If you've read Jason David BeDuhn's "Truth In Translation" then you have seen many examples of the underlying theological biases "translated" into most all popular Bible translations using paraphrases. A sister book by another author, "Truth In Translation, Accuracy and Surprising Bias in the Old Testament" by A. Frances Werner, shows many more examples of theological bias "translated" into Bible translations using paraphrases. What the LIT effectively does is eliminate mortal-made theological biases from appearing in it, while ensuring that exactly what the apostles wrote, verbatim, word for word, is set before a reader's eyes, with no additions, changes, or deletions to the text's words or meanings. The elimination of paraphrases guarantees the best outcome toward the goal of truth in translation. If a reader does not have God's gift of his holy Spirit dwelling within the reader, the reader is not able to know and understand spiritual things (1 Cor. 2:14-15). The LIT preserves Jesus Christ's assertion that any given reader, especially one having God's Spirit working within his or her heart, already has an adequate ability to understand what he spoke, and what his apostles wrote, the way they wrote it, without it needing to be paraphrased to accommodate an assumed challenged or dumbed-down readership. A reader's ability to understand spiritual things isn't simply a matter of paraphrasing God's Word. From close comparison of some parts of Bible translations to the biblical Greek texts, I believe the adoption of the assumption of dumbed-down readership as a need for paraphrasing serves to some extent to be a ploy. I believe paraphrasing is done to destroy God's Word, and to confuse those who do have God's Spirit dwelling within them. Jesus spoke to the people in parables for an important reason, so that the hearers would be required to go to work in their own minds to try and figure out what were their meanings. God's Word challenges those who read or hear it, which is why Jesus Christ challenged his listeners to hear and understand his parables. If a hearer didn't understand a meaning or meanings of a parable, they were to pray to the God to ask, seek, and knock on his "door" to receive God's gift of his holy Spirit (Mat. 7:7) Those with God's Spirit working in their hearts would come to understand what Jesus meant. Those who did not have God's Spirit working in their hearts either had to believe to obtain it, or smugly and proudly remain in the dark (Mat. 13:10-18). The LIT coincidentally presents a truth-in-translation challenge to previous English Bible translation methodologies. Wouldn't you rather read for yourself what the apostles of Jesus Christ actually wrote, and then decide for yourself what they mean, allowing God's Spirit to work in and through you, as Jesus Christ required from his listeners? Lastly, I don't sell God's Word to people through Bibles, to make money off of the things of God, especially off of his Word. The LIT, which is simply a non-paraphrased quote of what the apostles of Jesus Christ wrote, will always be free, right here at this website, for anyone who desires to see what the apostles wrote, and how they wrote God's Word. I believe that what and how the apostles wrote God's Word, exactly what they wrote and meant, under inspiration of God's Spirit working in and through them, deserves to be witnessed by everyone for themselves, at no charge, following the examples of Jesus Christ and his apostles, and all of the ancient prophets! For much more detailed explanations on how I produced the Literal Idiomatic Translation, please read my "About How I Produced the LIT" pages. In the LIT you will read and understand many passages about spiritual ideas and concepts, Truth, which you have not seen and understood before. I hope you are as blessed and excited by God's Word as I am.